More unpublished works from the archives of Louis L’Amour: complete short stories, partial novels, treatments, and notes that will transport readers from the Western frontier to India, China, and even the future. 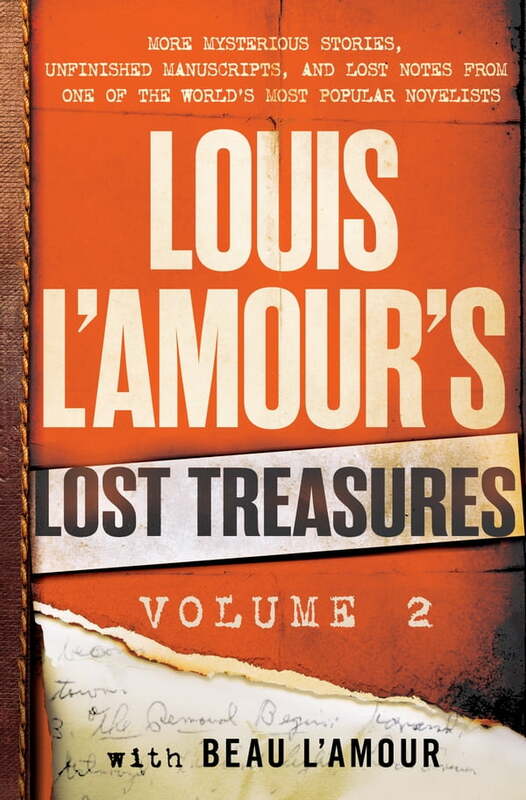 Exploring the creative process of an American original, the Louis L’Amour’s Lost Treasures series will uncover the hidden history behind the author’s best known novels . . . and his most mysterious and ambitious unfinished works. In this second volume, Beau L’Amour examines how his father made the transition from struggling pulp writer to successful novelist and uses his father’s notes, journal entries, and correspondence to continue the process of seeking out how and why many of these never-before-seen manuscripts were written as well as speculating about the ways they might have ended. These selections include the beginnings of a post-apocalyptic science fiction tale, a proposal for a nonfiction project based on the life of Renaissance era traveler Ibn Batuta, and two chapters of a historical novel set in India about the origin of L'Amour's well-known Talon family. At the other end of the spectrum are classic adventures, such as “In the Measure of Time,” a chance encounter set on the high seas, and a science fiction film treatment set in Mexico, as well as seventeen chapters of a novel that reappears throughout Louis’s journals and letters and speaks to his fascination with post-revolutionary 1950s China, leading him so far as to correspond with the Dalai Lama. With rare photographs and commentary, this book further maps the journey L’Amour embarked upon to become one of our greatest storytellers and the diverse realms to which his imagination traveled, making him a true American pioneer.